American tank crews have failed to place in the Strong Europe Tank Challenge, a competition co-hosted and sponsored by US Army Europe. The three-day event gathered the best NATO crews to compete against each other in a set of armored warfare tests. 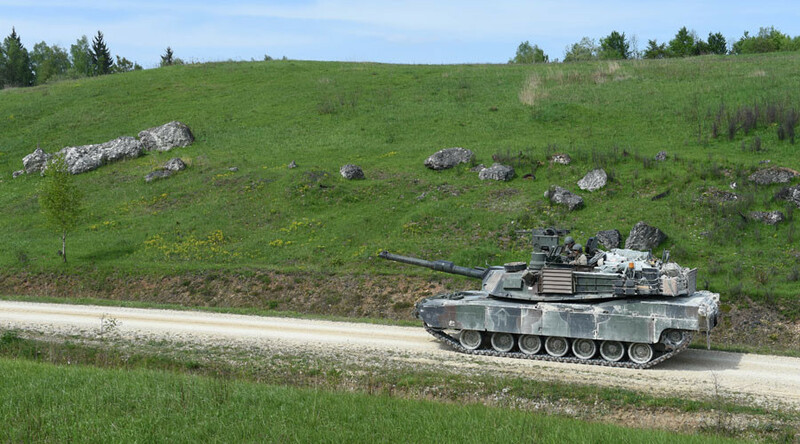 The Strong Europe Tank Challenge was jointly hosted from May 10 to 12 by the US Army and the German Bundeswehr at the Grafenwoehr Training Area in Germany. 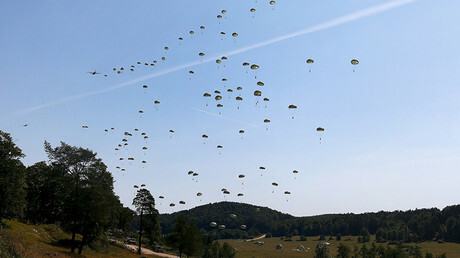 The three-day event involved crews from Denmark, Germany, Italy, Poland and Slovenia – which each sent platoons of four tanks – and the United States, which sent two platoons of four tanks. Crews taking part in the competition conducted either offensive or defensive operations, including an obstacle course with 13 different sections, a shooting competition, and tank-based navigation. The platoons were given points for each event in an effort to gain the highest score out of 1,000. In one event, competing crews had to correctly identify 25 “friendly” and “threatening” vehicles while traveling around a course. Other events involved operating in the aftermath of a simulated chemical weapons attack, dealing with improvised explosive devices (IEDs), and managing medical emergencies, according to a US Army press release. The German team took top honors, followed by the Danish tank crew in second. Third place went to Poland. The teams representing the US Army – which sponsored and advertised the event on social media – failed to make the top three. Notably, all the teams were allowed to use tanks of slightly different types. The German platoon brought a Leopard 2A6, one of the best NATO-developed tanks that features a modified turret, enhanced mine resistance and a longer main gun barrel. Denmark and Poland used Leopard 2A5s, an earlier version, while both Italy and Slovenia brought domestically-built Ariete and M84 tanks respectively. The American crews competed in M1A2 Abrams, according to the press release. A similar competition, the Tank Biathlon, takes place annually in Russia as part of the massive International Army Games. Last summer, some 2,000 servicemen from 17 countries, including Russia, China, India, Venezuela, Kuwait, Pakistan, and Mongolia, among others, competed in the games, which were held in Russia between August 1 and 15. The tank contest follows rules of a classic biathlon, with each armored vehicle aiming to cover around 20km in the shortest time possible while shooting at various targets. Last year, almost all the teams used Russian-made T-72B3 tanks. The Chinese competed with one of their own tanks, the Type 96A.